Jyoti's Pages: Creamy Veggie Filling In Potato Bowls ~ For Blog Hop Wednesdays ~ From UK Rasoi! Creamy Veggie Filling In Potato Bowls ~ For Blog Hop Wednesdays ~ From UK Rasoi! 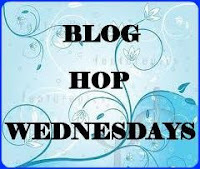 The second edition of Blog Hop Wednesdays is here. This week I am paired with Nupur of UK Rasoi. To give you an insight into how this event works - every alternate wednesdays, bloggers participating in this event are paired with a partner and each of them has to chose a recipe from their partner's blog, prepare it and blog about it. To know more about it and participate check this. Nupur has a good collection of scrumptitous recipes on her blog and it was a hard choice for me. But finally I decided on her Twice Baked Herby Potatoes. Using this recipe as an inspiration, I created Creamy Veggie Filling In Potato Bowls using the ingredients I had at hand. As, I was preparing them as appetizers, I just used half of the measures as given in the original recipe. 1/2 tsp ground white pepper. 1/3 cup or little more warm milk. 2-3 tbsp chopped green pepper. 1. Microwave the potatoes for 6-8 minutes. Read the instruction given on the packet for cooking them in microwave. 2. Let it cool down. Once cooled, cut them in half and scoop out as much flesh as possible without distorting the shape. Keep the scooped potatoes aside. 3. Heat the butter in a pan and add the chopped pepper and thawed sweet corn and cook it for a minute. Then add the AP flour. 4. Cook it for a couple of minutes stirring, till the raw smell goes away. Add salt, pepper, herbs and sugar and stir. Add the warm milk, stirring all the time. Make sure there are no lumps. Add 3 tbsp of the scooped potatoes. Cook for another 2 minutes and turn off the heat. 5. Line a baking tray with parchment paper. Keep the potatoes with the scooped side up. Fill them with the prepared filling and sprinkle the shredded cheese. 6. Bake in a preheated oven at 175 C for 15-18 minutes till they are golden brown. 7. Enjoy them as they are or add a dash of tomato sauce. Serve them fresh from oven. OMG! They look yummilicious! Awesome. Thanks for trying this Jyoti ..
Wow, perfectly baked. lovely Jyothi. They look awesome dear! Love to have these right now. Those look delicious. I bet my family would love them. First time here and following you. These do look rather tasty, interesting idea for a hop.